This stuning looking 2010 10-Reg Mercedes E350 CDI AMG Sport Blue efficency auto looks amazing!!!! finished in lovely Sparkling Graphite Mewtallic with Mercedes twin spoke alloy wheels and a great spec!!!! extras include full black leather sports seats with electric controls,heated seats,factory fitted sat nav and bluetooth phone prep,cruise control,climate control,auto lights and wipers,front and rear parking sensors,Xenon headlamps with washers,folding mirrors,auto dimming interior mirror, USB/Aux interface and cd player,amazing looks performance and economy with over 57mpg!!! not to be missed!!! 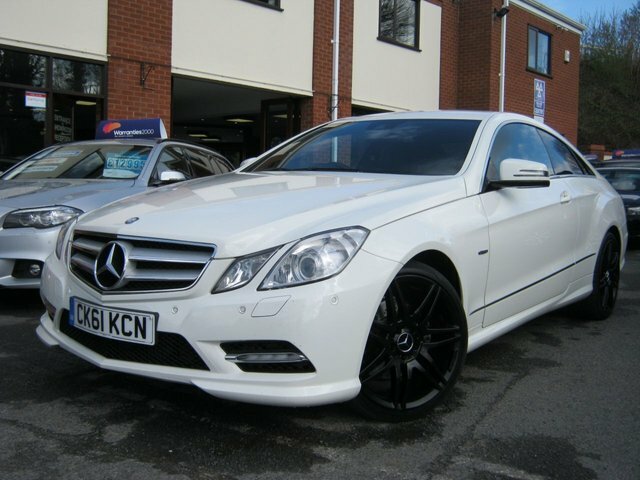 This stuning looking 2011 61-Reg Mercedes E350 CDI AMG Sport Coupe Blue efficency auto looks amazing!!!! finished in lovely Alpine white with black Mercedes twin spoke19" alloy wheels and a great spec!!!! extras include full black leather sports seats with 4 way lumber support,heated seats,factory fitted sat nav and bluetooth phone prep,cruise control,climate control,auto lights and wipers,front and rear parking sensors,Xenon headlamps with washers,folding mirrors,auto dimming interior mirror, USB/Aux interface and cd player,amazing looks performance and economy with over 57mpg!!! not to be missed!!! There's no denying the premium credentials of the Mercedes-Benz E-Class. It's available in a variety of body styles including saloon, estate, coupé and cabriolet, all of which benefit from incredibly sleek exterior styling with flowing lines and elegant features. The interior uses top quality materials throughout and there's ample room to ensure a supremely comfortable ride for driver and passengers. 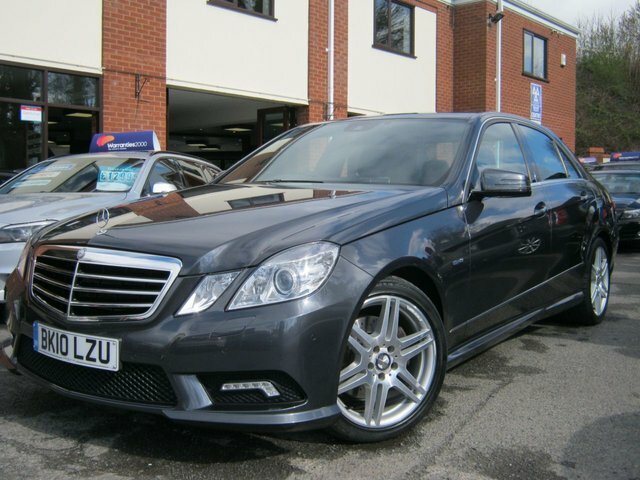 Why not get behind the wheel of a used Mercedes-Benz E-Class in Worcester by paying a visit to BJH Motors and Sons. We supply quality used vehicles at affordable prices and will always go the extra mile to make sure that you find a car that's the perfect match for your needs.